Wine is generally viewed as a luxury product, and foil labels are commonly seen adorning luxury items. Does that mean wine bottles and foil wine labels are a match made in marketing heaven? It depends. Labels are often regarded as utilitarian — and, sometimes, they are. But when it comes to a product like wine — where value is inferred partly by how sophisticated, glitzy, or refined the bottle appears — labels are much more than just “brand bearers” or “information announcers”. They’re part of a visual appeal that helps sell the product. Below are three scenarios for using foil wine labels to increase sales. Do you make a wine that won an award at a taste test or was bestowed a award by the wine industry? If so, and the regular label you use on the bottle isn’t foil, applying a small but prominent foil label is a great way to call out the accomplishment. A few tips: Place the label on the front of the bottle, as you’ll want prospective customers to see it as they stroll down the wine aisle. Also, try to choose foil colors that compliment your regular label colors but have enough “pop” to draw attention. They say everyone loves a winner; you can stylishly announce your wine’s accomplishments with foil wine labels. The green movement has won people to the organic side of the grocery aisle. If your wine is organic, announce it using a small but noticeable label that says “organic” in an attractive font that compliments bottle design — and follow the label placement tips in the previous section. This isn’t a good choice for all wines, especially ones meant to be savored by candlelight and not sprayed in the face of a professional championship winner. Moreover, it’s a particularly good choice for champagne — a drink associated with glitz, glamour, and high-end partying. Some of the best-known and most expensive champagnes showcase plenty of “bling” in the form of bright, reflective foils. However, even if you don’t sell champagne, foil can be used to tastefully outline bottle labeling, spell words, adorn logos, etc. It all depends on how you want the bottle to look — which is something we can help you decide. Interested in using foil wine labels to announce a beverage award, indicate organic formulation, add eye-catching accents to your labeling, or accomplish something else? To explore your options, call the label specialists at Flexo-Graphics today at (262) 790-2740, or send us an email through our contact form. 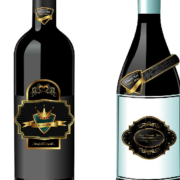 We can help you add pizzazz and class to your wine bottles with foil wine labels! Have you ever taken a bite of packaged food, noticed it tasted stale, checked the expiration date on the package, and found the date hadn’t passed yet? If so, you could be the victim of bad food. But you could also be the pawn of bad food packaging, the kind that — once you open it — can’t be resealed in a way that effectively preserves freshness. In America, most people have such easy access to food that they toss morsels unpleasing to their palate due to a little staleness. There usually isn’t a biohazard involved (you can eat the food and function just fine), but we tend to choose food based on taste and not necessity. There’s no word on how much of the gastronomic jetsam comes from food that tastes a bit over the hill. However, we know of a simple way to help prevent food waste due to staleness: package it in resealable containers that are ergonomically designed, such as containers that have reseal packaging labels. What Are Reseal Packaging Labels? Reseal packaging labels usually look and function like this: One end of the label is permanently attached to the package, and the length of the label can be pulled back until it reaches the attachment point. The label is resealable thanks to temporary adhesive that’s designed to maintain its tack — yet remain easily peelable — through multiple reseals. Reseal packaging labels help consumers save money by extending the shelf life of food after the package is opened. But the packaging also benefits food producers and vendors. Reseal packaging labels can create a winning situation for all involved: food producers, vendors, consumers. But the quality of the label has everything to do with results. Whether you’re a producer or packager whose reseal labels don’t perform optimally, or you’re considering implementing the labels for the first time, Flexo-Graphics can help. 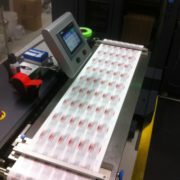 We combine extensive experience with tangible packaging elements (adhesive, labels, flexibility, etc.) with an emphasis on print technology that creates brand appeal and matches the application (refrigeration, store shelf, bulk supply, and more). To learn more about your food and beverage label options through us, give us a call today at (262) 790-2740, or send us an email from our contact form. We look forward to helping you keep the next bite of packaged food tasting fresh. Label prototypes are applied to products before they hit the market. If a label will be part of a product’s presentation on a store shelf or a product page on a website, it should be included in the product’s prototype as a part of the quality control process. This applies to labels that appear on product packaging and/or are placed on the product itself. Label prototypes are used to ensure labels perform as expected once a product is released. Label performance obviously involves how a label performs physically, but it also pertains to how a label looks, as well as how the label impacts custom perception. With these things in mind, your organization can use label prototypes in the following ways to explore product improvement using labels. Imagine you’re a food company releasing a new line of refrigerated pizzas that use adhesive labels to present nutritional information. Naturally, you ordered labels that are designed to retain integrity under the temperature conditions in the grocery store freezer aisle. But do the labels work as well as expected? The best way to find out is to do a performance test that exposes the label to food aisle freezer conditions. If the label doesn’t perform according to specifications, you’ll find out before it costs you a cent in the form of lost sales. Product presentation should ideally receive at least two approvals from the marketing team — with at least a week in-between approval sessions — before the product is released for sale. What seemed like great label placement, size, color, etc., one week may not seem so great after a little time passes. When this happens, it’s often due to things such as needing to get initial presentation approval by a certain date and simultaneously juggling multiple prototype evaluations that involve labels — common parts of everyday business that can skew value judgements about product presentation. If your prototype seems as fetching as it did a week ago, you probably have a good thing going. Some of the best information you can receive about prototype labels comes from your prospective customers — the people who may buy the product or forego it due partly to how the label appears. The easiest way to get people to participate is to hold the trial at a safe, central location, and pay people a fixed amount that motivates them travel there and participate (e.g. $50). If you’re marketing to a specific audience, be sure to state the requisite age, gender, nationality, etc., of the participants you desire. At Flexo-Graphics, we realize label prototypes play an important role in choosing labels that look great on the product, communicate the right information, and help create an impression of quality. This is why label prototyping is offered to every label customer we serve. For more information about prototype labeling, read this informational label prototypes post, call us today at (262) 790-2740, or send us an email through our contact form. We look forward to serving you!